My parents were Ernie Kovacs fans, and when they learned that Channel Thirteen, our PBS station, was going to air a series called “The Best of Ernie Kovacs”, they made sure I knew. My interest in visual comedy, almost an obsession, had started when I discovered Chaplin comedies on TV when I was a toddler. This was the 10-episode series The Best of Ernie Kovacs, the one hosted by Jack Lemmon, that aired on public television stations in 1977. I had never seen any comedy on television like it. I don’t know what it was — none of us did when we first saw Kovacs on TV — but I was instantly hooked. I watched the “Best Of” series religiously, including its repeats. I bought the LP that Columbia had released in 1975. I managed to transcribe and learn to play the theme song. The Best Of Ernie Kovacs programs, for a long time, were the only way to see Kovacs’ TV work. The episodes were released on VHS, and later on DVD. 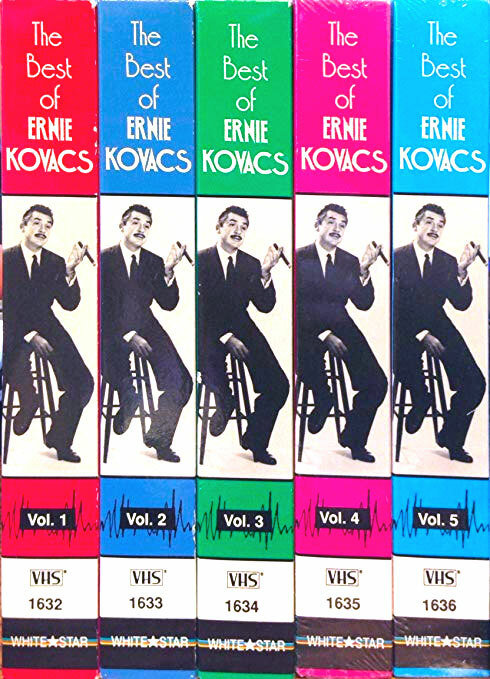 If you lived in Canada and became a Kovacs fan, these were probably the first exposure to Ernie’s TV comedy you had. As “best of” shows, these were compilations of Ernie’s sketches, blackouts and music pieces, grouped together thematically. And well-done, I might add. There was only one half-hour out of the ten, though, that included Ernie’s work from the mid-‘50s — “Ernie Kovacs: the Early Years”. I knew from David Walley’s “Nothing In Moderation” (a/k/a “The Ernie Kovacs Phile”) that Ernie had been on TV for eight or nine years prior to the material I’d seen on the PBS shows, the shows that Kovacs had made on videotape. While working on the first “Ernie Kovacs Collection” box set for Shout Factory a friend of mine, photographer Steve Friedman, connected me with John Lollos, whose name I recalled from those Kovacs programs. He’d produced them. At a panel event I was part of for the launch of the first box set I got to meet John, and found out the reason Ernie’s “early years” hadn’t been included on those compilations wasn’t because they’d been dismissed as “early years”. It was because it was the 1970s. The way PBS works, or worked then (but I think it’s still the same), is that you had to shop your program to each affiliate to get it aired. For a program that yet to be made, you needed to secure the backing of a PBS affiliate as well. It wasn’t that easy. Luckily, the head of WTTW in Chicago was a Kovacs fan. (If you also were a credits-reader and remember Lollos’ name, you’ll probably also remember those call lettters.) Still, this was the late 1970s and getting people to look at old or classic TV was a hard sell. Ironically, not so different from today. But the 1970s was really the first time TV’s “early years” were being regarded and being taken seriously as something to ask an affiliate’s viewers to watch. The shows had to look good. And so, the “Best Of” shows were sourced from shows Ernie had done on videotape. Not only the the ABC specials, but also clue-sketches from Ernie’s bizarro panel-quiz show “Take a Good Look”. They just looked better than the 16mm kinescopes to a novice TV audience that, at the time, was switching over to color television. There are copies of the “Best Of” shows out there on Amazon and eBay, if you’re nostalgic for those intros by Kovacs pal Jack Lemmon. They also have wound their way onto YouTube. They’re a nice way in to Kovacs. 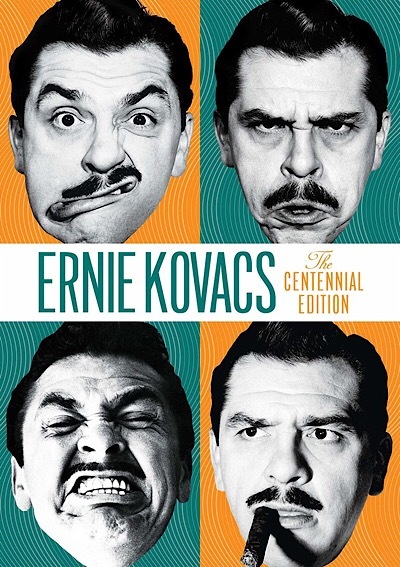 Luckily, we now live in an era of “I want to see everything” box sets, and both of the Ernie Kovacs Collection box sets I worked on for Ediad Productions and Shout Factory include gobs of Kovacs’ “early years” stuff. They’re only “early” because they precede Ernie’s 1959-62 shows, but are just as inventive and funny. And because we’re more into viewing “legacy” programming and and accepting of older media, there was room for lots of Kovacs that only survives in kinescope form. We all owe a debt of gratitude to John Lollos who, in the mid-1970s, thought Ernie Kovacs should be seen on TV again and pushed real hard to make that happen. How else would we have discovered Ernie Kovacs? Thanks, John. E.E.F.M.S (the Early Eyeball Fraternal Marching Society )was the club Ernie invented for regular viewers of his morning daily comedy-variety show. All you had to do to join was write in to Kovacs care of whatever station he was on that year. I’ve met people who still have their EEFMS membership cards. The “Centennial Edition” from Shout Factory combines both DVD box sets into one mega-retrospective on 9 discs at a package price (less than buying the two box sets separately). I wonder if the EEFMS was an inspiration for Stan Lee’s MMMS, the Merry Marvel Marching Society. It wouldn’t surprise me a bit if it was!